Influenced by his Grand Tour to France and Italy, Augustus the Strong wanted to turn Dresden into a modern Baroque city. 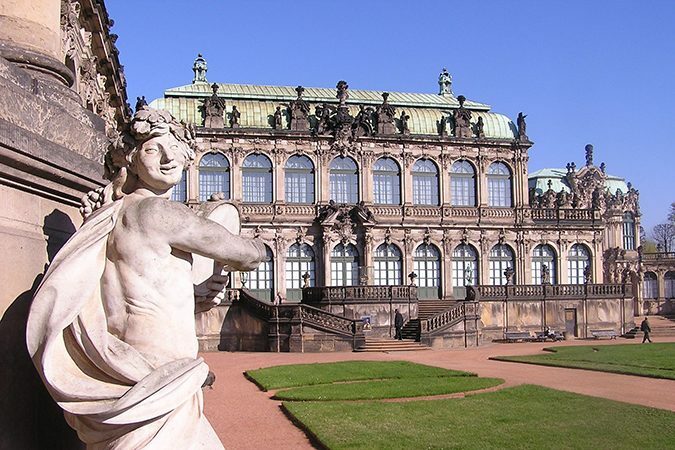 The architect Matthäus Daniel Pöppelmann became his congenial partner and together they created masterpieces like the Dresden Zwinger, Pillnitz Palace, the Japanese Palace, and, in the vicinity, Moritzburg Castle and the Grosssedlitz Baroque Garden. On the other side of the Elbe River in Dresden, the “New Royal City near Dresden” was laid out systematically, today simply known as Dresden-Neustadt (= Dresden’s New City”). Augustus also donated money for the construction of the Church of Our Lady. Plans for a new residential palace were not realized and it was left to his son to add the Catholic Court Church to the famous Dresden skyline. 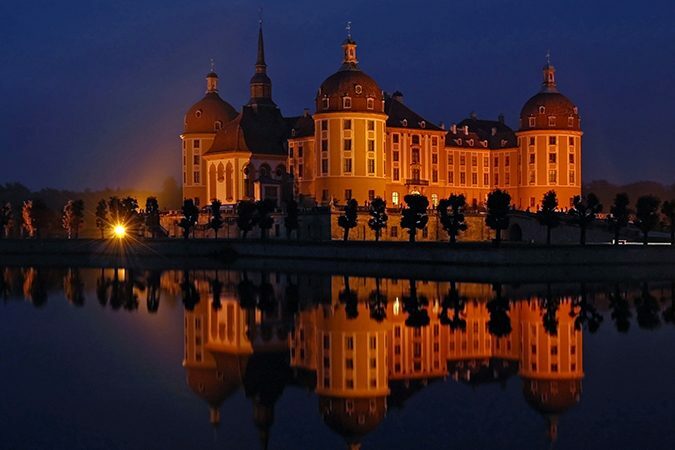 Görlitz is a picture book of architecture, with 3,500 buildings on the list of protected monuments. The film industry has taken notice and shot major international productions in the town on the border to Poland, among them the Oscar-winning movies “The Reader” and “The Grand Budapest Hotel” as well as Jackie Chan’s version of “Around the World in 80 Days”. Architectural styles range from the Gothic to the Art Nouveau periods. The unique “hall houses” of the drapers and the largest collection of Renaissance buildings in Germany contribute to what makes Görlitz perhaps the most beautiful town in Germany. Until the end of World War II, Saxony was the richest and most industrialized region of Germany. Famous Saxon inventions include the tea bag, the coffee filter, the tooth paste, the mouth wash, the bra or the beer coaster. There are numerous architectural witnesses to the industrial age, from former factories to the villas of rich industrialists. Many buildings from the first category serve new purposes now, like the Spinnerei art centre in Leipzig. 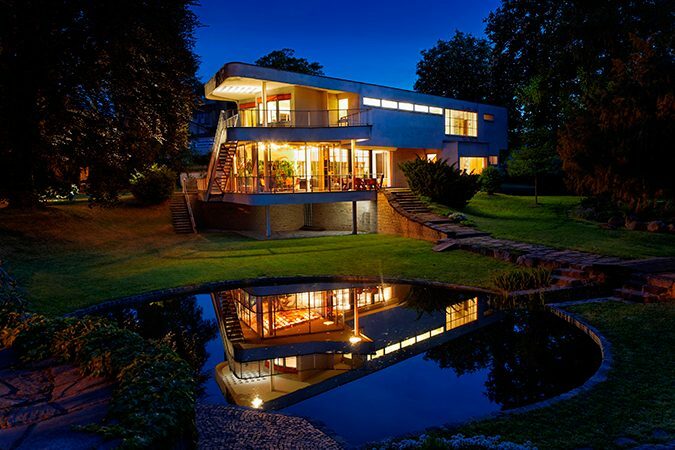 The latter category includes the Schminke House in Löbau, one of the outstanding residential buildings of the Classic Modernism period, and Villa Esche, the Art Nouveau masterpiece of Belgian architect Henry van de Velde. 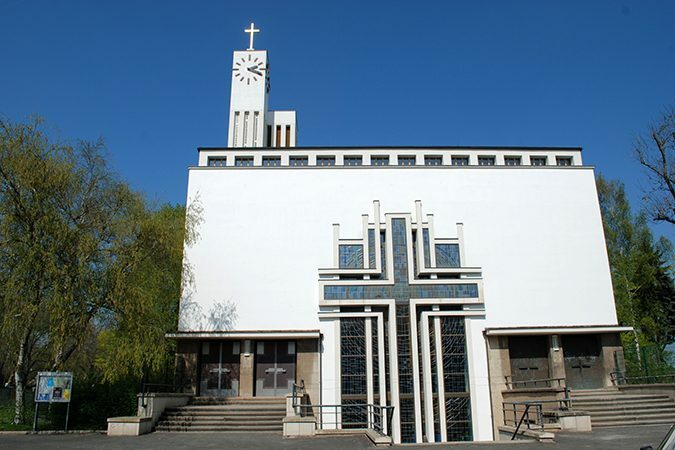 Another highlight from the Industrial Age is Hellerau, Germany’s first garden city, a picturesque settlement on the outskirts of Dresden, founded in 1909 to bring together as a unit residential and working areas, culture and education. What seems so picturesque today came into existence when German settlers who had come to Saxony combined their skills for building half-timbered houses with the local block house architecture of the original Slavic population. The result is called “Umgebindehaus”, sometimes translated as “Upper Lusatian House” for it is the region of Upper Lusatia where most of these buildings can be found. The village of Obercunnersdorf, located between Löbau and Zittau, is particularly beautiful and has received numerous awards from national and international organizations, including the UNESCO. A dramatic and highly-symbolic wedge has worked its way through the 19th century armory building, courtesy of American star architect Daniel Libeskind. 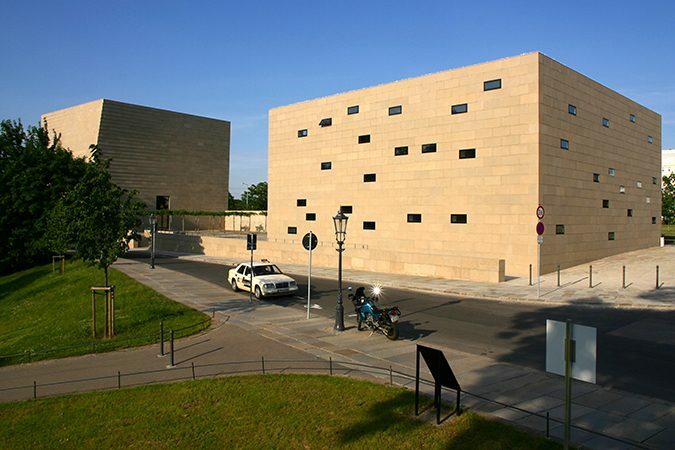 The Military History Museum in Dresden with its unique museum concept is just one of many spectacular landmarks of military history in Saxony. Other highlights include the Monument of the Battle of the Nations in Leipzig, Europe’s largest monument, Königstein, Europe’s highest fortress, Colditz Castle, Germany most famous POW camp during World War II and the remains of Dresden fortress which form the foundations of the Dresden Zwinger and Brühl’s Terrace respectively.